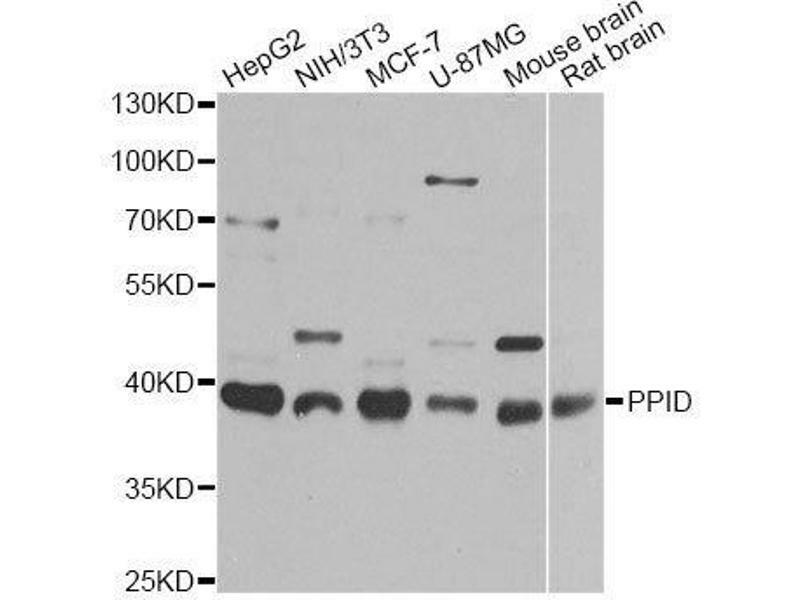 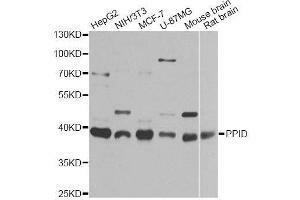 Western blot analysis of extracts of various cell lines, using PPID antibody. 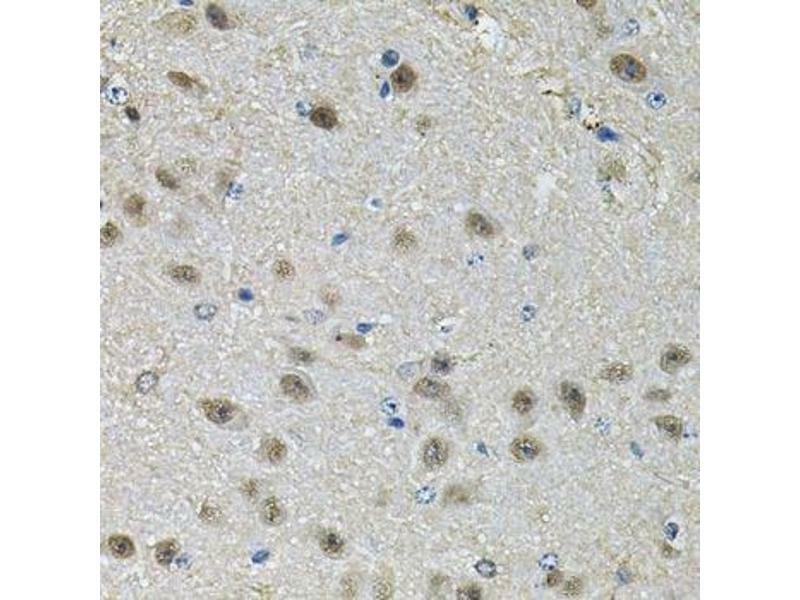 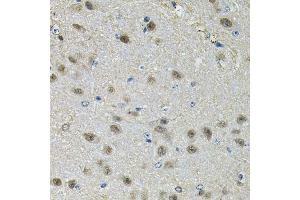 Immunohistochemistry of paraffin-embedded rat brain using PPID Antibody. 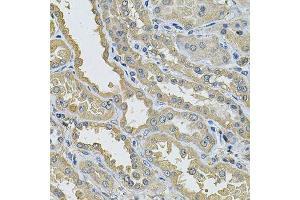 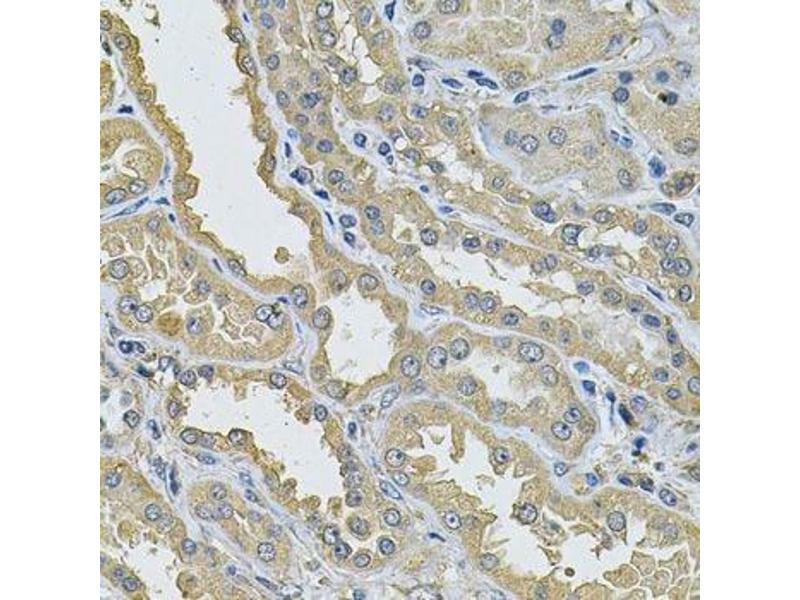 Immunohistochemistry of paraffin-embedded human kidney using PPID Antibody. 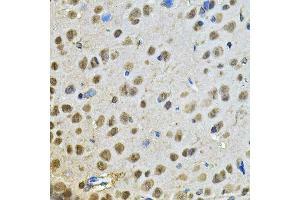 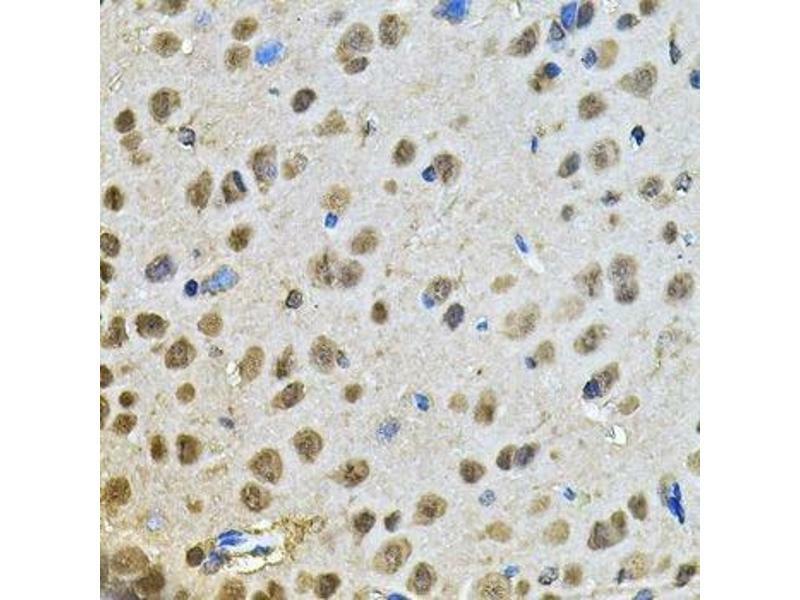 Immunohistochemistry of paraffin-embedded mouse brain using PPID Antibody. 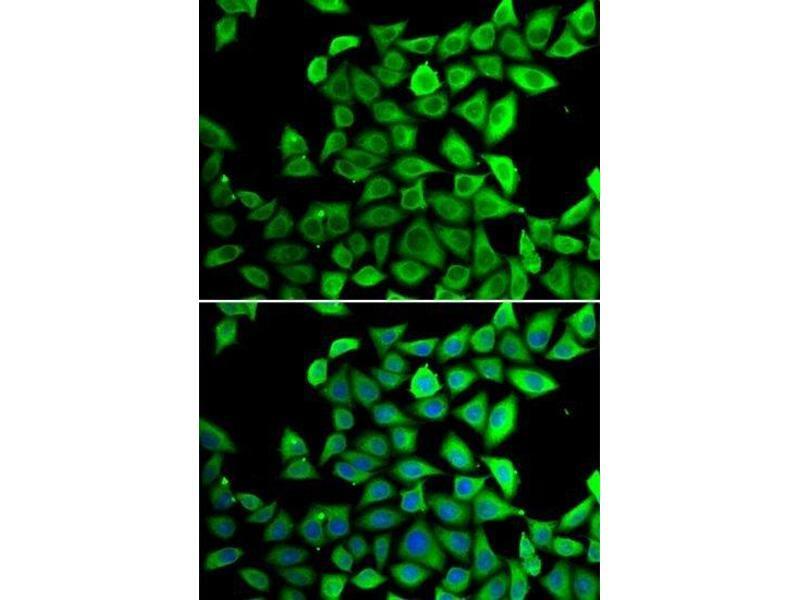 Immunofluorescence analysis of A-549 cells using PPID antibody.